Did someone call for a fashion emergency? 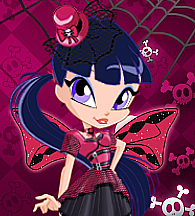 Welcome to the MiniWinx Shop! 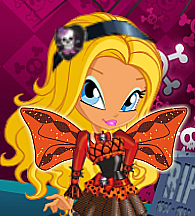 Here, you will be able to buy fashionable outfits for your Winx Avatars in the Winx Club Roleplay. with amazing details and accessories, to look freaky fabulous! 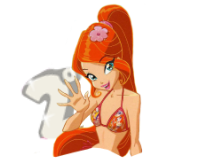 by the MagicalWinxClub team. 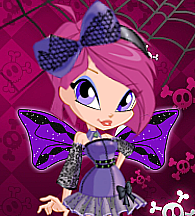 There are tons of different costumes for you to pick from! Hey ! Can I purchase the Free Candy Bag and the Hotdog outfit for Melania? Previously you had 305 Diamonds in Melania's Account, with this purchase you will have 280 Diamonds left. The Candy Bag and the Hot Dog Costume have been added to Melania's wardrobe. Can I get the cat outfit for Luna please? Previously 400 Diamonds in Chanel's Account, You now have 340 Diamonds in her account. The Sailor Moon Outfit will be added to Chanel's Wardrobe. Previously 500 Diamonds in Luna's Account, You now have 450 Diamonds in her account. The Cat Outfit will be added to Luna's Wardrobe. 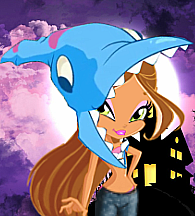 Can I buy Aisha's Hallowinx outfit for Talia ? Previously 405 Diamonds in Talia's Account, You now have 297 Diamonds in her account. 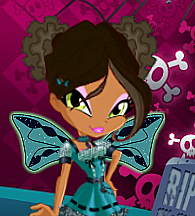 The Aisha Hallowinx Outfit will be added to Talia's Wardrobe. 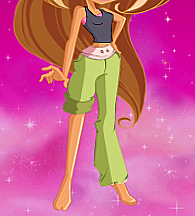 and recreate them so they could fit once more on your Miniwinx! in Season 6 episode 17! Fearwood Bloom Full Outfit - 280 Diamonds ALSO AVAILABLE IN CHRISTMAS CONTEST! I would like to get the Tecna outfit from the fear wood collection please. Previously 450 Diamonds in Luna's Account, You now have 350 Diamonds in her account. 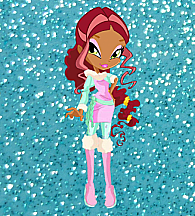 The Fearwood Tecna Full Outfit will be added to Luna's Wardrobe. 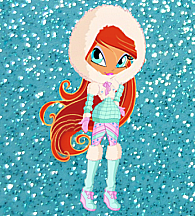 Can I buy the Fearwood Stella Full Outfit? Previously 905 Diamonds in Talia's Account, You now have 665 Diamonds in her account. The Fearwood Stella Full Outfit will be added to Talia's Wardrobe. Can I buy the fearwood musa outfit please? Previously 500 Diamonds in Lidiya's Account, You now have 360 Diamonds in her account. The Fearwood Musa Full Outfit will be added to Lidiya's Wardrobe. Could I get the galactic space princess for Luna and the valentine's bride dress for lyra if I have enough. Previously 350 Diamonds in Luna's Account, You now have 245 Diamonds in her account. 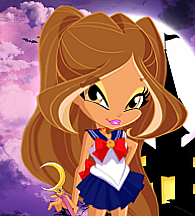 The Galactic Space Princess Full Outfit will be added to Luna's Wardrobe. Previously 1,000 Diamonds in Lyra's Account, You now have 850 Diamonds in her account. The Valentine's Bride Dress Full Outfit will be added to Lyra's Wardrobe. Previously you had 280 Diamonds in Melania's Account, with this purchase you will have 250 Diamonds left. The Sweetheart Combo Top, Aisha's Gym Pants, and Aisha's Gym Sneakers will be added to Melania's wardrobe. Thank you for shopping! 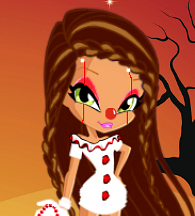 Halloween is here! 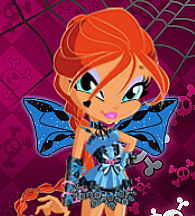 Decorate your miniwinx with these spooktastic new outfits and new makeup looks! Hi, can I have the Glam Clown outfit for Melania please? Thanks!